The first time Oscar foamed at the mouth, I panicked. Animals aren’t supposed to foam at the mouth, right? Did he have rabies? 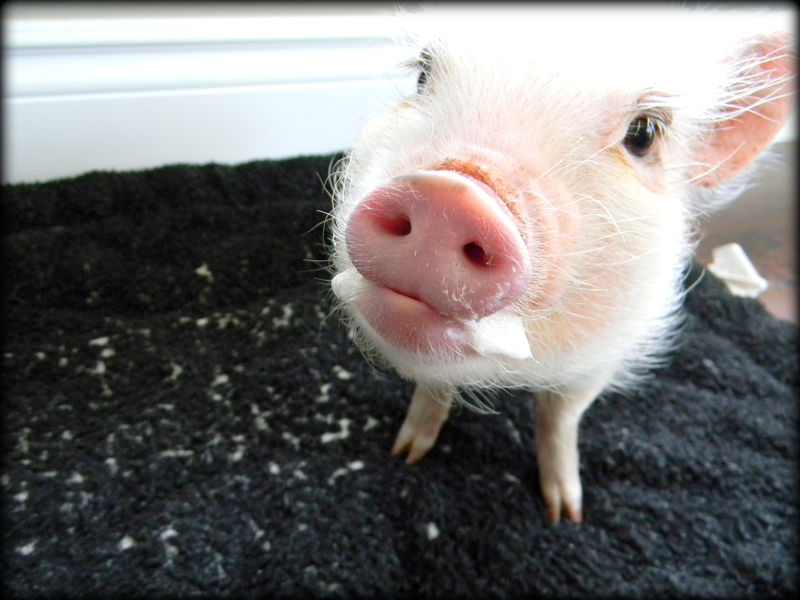 As it turns out, it’s perfectly normal for mini pigs to foam at the mouth. Oscar foaming at the mouth. Mini pigs foam at the mouth in anticipation of food. The main times Oscar foams are 9 am and 5 pm when he’s decided it’s time for him to be fed. Oscar also foams at the mouth when he gets a treat, wants a treat, or thinks he should get a treat. For Oscar, this means he foams at the mouth frequently throughout the day. Thank you so much for this website. I look at it often. I am a new mini owner and I refer to your site often. You are in a way helping me raise my Pamela Hamderson. Thank you so much again. Hi Jaeson! Thank you so much for your kind comment and for letting me know the blog has been helpful. I really appreciate it! I love your website! You have answered so many of my questions, particularly with pig bonding. I just got my mini pig and just like you experienced she runs from me and won’t let me touch her. I got really down and thought she hated me and maybe getting a pig was a mistake. I’m so glad I found your page and read you post, it gave me hope and comfort! And it makes complete sense now about the foaming. When she’s particularly hungry or treat bound she foams. Thank you for sharing all your experiences! Our pig has been pooping in her food bowl. We cant figure out why. She does it know matter where we put it! Any ideas? 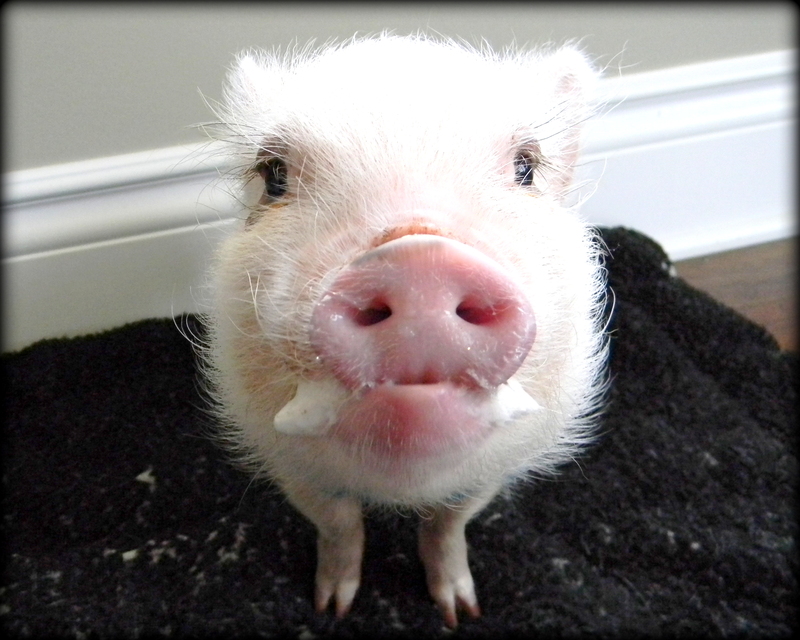 My mini pig keeps making this sucking noise, she will walk around the house sniffing and sucking on everything. The carpet, the couch, your clothes. She developed a foam at the mouth. I’ve tried to get her to drink water thinking its because shes thirsty. I don’t know how to get her to stop. She us about 2-3 months old. Teething give her a strip of sheet to chew on my pig would shred hie sheets for this purpose also liked chewing gum and popscycles at this stage.